The transdisciplinary approach argues that the problems and priorities in fisheries and ocean governance, especially when concerning small-scale fisheries, require a broadening of perspectives that cut across academic disciplines, bridge division between scientific and local knowledge, and bring about innovation in teaching and learning. 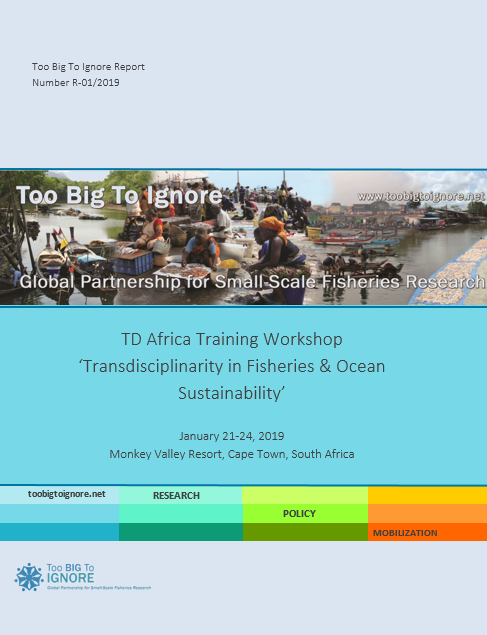 The transdisciplinary perspective is particularly important when dealing with the ‘wicked problems’ in small-scale fisheries governance, due mostly to insecure tenure rights, lack of livelihood options, poor access to markets, and marginalization of small-scale fishers in decision-making. This approach is also required to facilitate the implementation of the Voluntary Guidelines for Securing Sustainable Small-Scale Fisheries in the Context of Food Security and Poverty Eradication (SSF Guidelines) and to achieve the Sustainable Development Goals (SDGs). 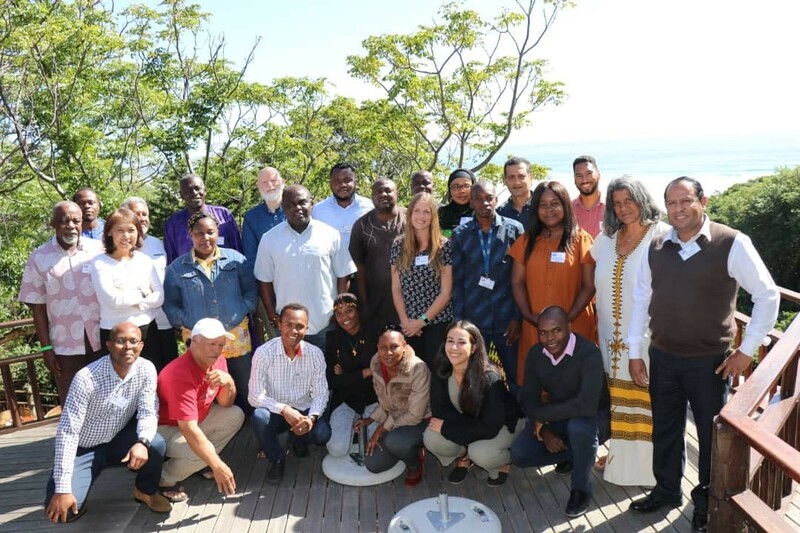 The ‘TD Africa Training Workshop: Transdisciplinarity in Fisheries & Ocean Sustainability’, which took place in Cape Town, South Africa from January 21-24th, 2019, was organized by TBTI, as part of the TBTI transdisciplinary (TD) training program. The objective of the training program is to expose participants to a range of issues, challenges and concerns related to fisheries and ocean sustainability, especially those affecting small-scale fisheries, as well as to deepen the understanding about their causes and effects, and to broaden the perspective about how to address them. 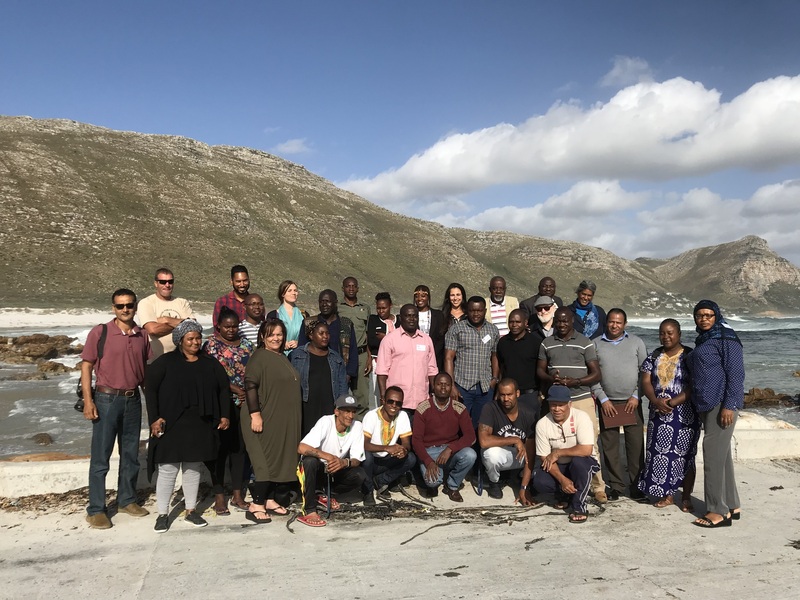 The four day-workshop brought together about 25 scholars and practitioners on small-scale fisheries from across Africa. The training workshop included a number of presentations, group activities, guest lectures and a field trip to Ocean View, a local fishing community. The program was tailored in such a way to encourage participants to learn about leadership, problem-solving, facilitation and conflict resolution skills, learn to lead discussion and recognize group dynamics, as well as any power imbalance, and learn to communicate effectively with different stakeholders from various background. The overall aim of this training was to build transdisciplinarity capacity at local, national and international levels in order to overcome current challenges facing small-scale fisheries in Africa, as well as to help promote viability of small-scale fisheries, and the overall sustainability of fisheries and ocean. Aliou Sall, Mundis maris Vice-President, who was one of the lecturers, wrote a reflections piece about the workshop that can be accessed HERE. The full report from the workshop is available below.